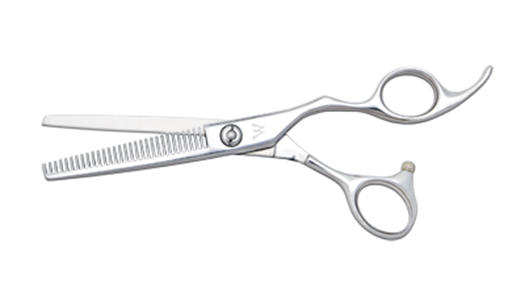 Hair thinning shears by the top hair scissor manufacturers provided at the best price. Professional hair stylists demand professional thinning shears. This is why we carry the best hair thinning shears at the best prices, never imitations or lower quality thinning shears. Below you will find all of the best Japanese hair thinning shears in one spot. Though included below, if you are looking only for hair texurizing shears you will find them in our professional texturizing shears section. We offer a broad variety of professional thinning shears, from the extremely high quality Hikari Shears to the economically priced Etaro Shears by Hikari. Interested in the Washi Shears line? View our full collection of Washi Matching Set Shears where you can pick up a great hairdressing scissor and thinning shears with additional savings thanks to our lowest price guarantee on Washi Shears. Professional hairdressers the world over trust the hair thinning shears brands we carry. If you have any questions while thinning shears shopping, contact us and we will gladly be of assistance. The TS Master hair thinning shear has 30 teeth and a Japanese Hamaguri blade that is forged from Japanese ATS34 steel. A notching texturizing shear perfect for taking out extra hair volume with every cut.